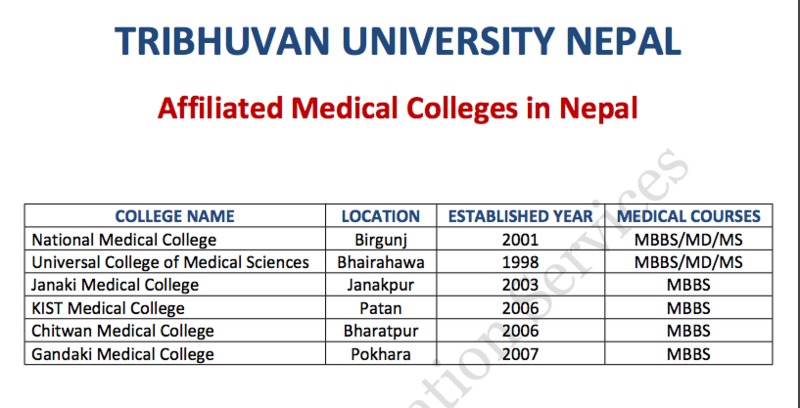 The selected Indian Candidate will have to submit the original and one copy of each certificate mentioned below at the time of admission to MBBS in Nepal medical colleges that are affiliated with TU IOM Nepal. Migration and Equivalence Certificate if Indian Candidate has passed from any other University beside Tribhuvan University Nepal. The list of passed applicants in the TU IOM Exam will be sent to the affiliated medical colleges of Institute of Medicine (IOM Nepal).